According to Statistics Canada, as of 2011, more than 80% of Canadians today live in urban areas. 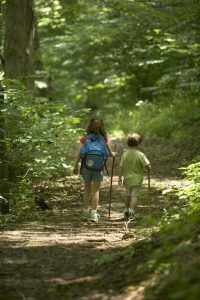 While the amenities of big-city life are a significant draw, the benefits of spending time in nature, for both children and adults, are unquestionable. Getting children out in nature is crucial to their growth. It enriches both their mental and physical development and well-being. Spending time outdoors and performing activities that engage with the natural world has been shown to increase attention spans, cultivate creativity, and plant a desire to learn through exploration. A 2009 study found that children who spend time in green parks exhibit lower levels of symptoms of attention-deficit/hyperactivity disorder (ADHD). In addition, being outdoors is good for physical fitness. Recreational activities like walking, running, and spontaneous play (like throwing a ball), can lead to a lower likelihood of developing chronic conditions, such as type 2 diabetes. Further, a longitudinal study performed in Southern California found that proximity to parks results in lower obesity rates among children. The benefits of nature extend to adulthood in numerous and diverse ways. Chronic stress leads to poorer sleep, headaches, obesity, hypertension, decreased immunity, and can eventually result in dangerous ailments such as heart disease and stroke. But the tension can be countered by taking in the sights and sounds of green spaces. And this doesn’t mean a three-hour drive to the mountains. Apparently, merely having a window forest view can be enough to lower stress in the workplace! In addition, a 2015 study at Stanford University found that adults who walked for 90 minutes in a natural area, as opposed to a congested urban zone, had decreased activity in a region of the brain associated with a key factor in depression. Another benefit of being in nature is improved cognitive ability. Spending time in green areas helps clear our heads, refocus, and also improves our memory. Research shows that even patients with dementia have decreased symptoms when exposed to gardens and horticultural activities. With these findings in mind, take care of yourself and your loved ones by taking it outside. 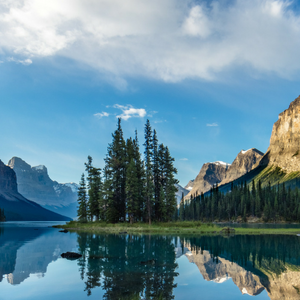 Canada’s Parks Day—and the rest of the summer—is yours for the taking! 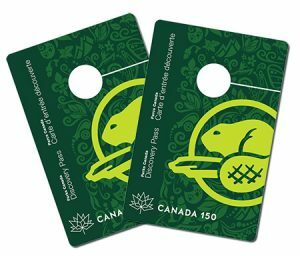 For 2017, admission is free to all national parks, national historic sites, and national marine conservation areas operated by Parks Canada. You can order your pass online or pick one up at MEC, CIBC branches, and various partner organizations near you—see this official list of locations by province. To help you make a destination decision, review this complete Parks Canada list of all the free sites, which you can limit by province. There are also many outdoor activities to consider in the city. Enjoy a contemplative walk or a bike ride along a waterway, a good book under the trees, a picnic by the lake, birdwatching from your porch, or a bug scavenger hunt with your children. The options are endless! We hope you enjoy this year’s Canada’s Parks Day and we would love to hear about your adventures!